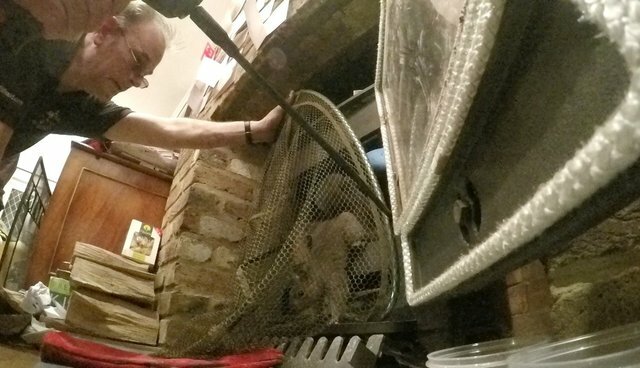 A squirrel in a chimney or a fireplace is always an entertaining rescue! Simon and Sean, from the Wildlife Aid Foundation, went out to rescue a squirrel stuck in a log burner. It took a couple of attempts to catch him, because this clever squirrel was very cautious of the net. Let's just say that he wasn't very keen on being captured ... but very happy to be released!